Canonical has just announced the Ubuntu for Phones platform that will allows users to have similar experience on desktops (Ubuntu Desktop), TVs (Ubuntu TV) and smartphones, avoiding the need to learn 2 different platform for the desktop and mobile devices. The user interface replaces the “Lock screen” with the “Welcome screen” (As shown in the middle of the picture above), which shows notifications and user data as you turn on your device. The user interface mostly eliminate buttons, and you can access features by swiping the edge of the phone. A swipe on the left edge will show the dash bar, giving access to most used apps and dash search, a swipe on the right edge will cycle through your opened apps, a swipe at the top will give access to notifications and allow changing settings right from there, and a swipe at a button will allow you to customize controls. Global search is also part of the OS, as a single search will bring local and network search results. The best way to experience the OS is to watch the virtual keynote by Mark Shuttleworth. In the first 5 minutes or so, he discusses they key milestones reached by Ubuntu on 2012, but the real discussion about Ubuntu for Phones takes place between 5:10 and 13:40. Enterprise. As companies may want to streamline their operations by using a single device to be used as a phone, thin client and desktop. Management should also be easier. Consumer. For those who want a different user experience. One last very interesting point brought by Marc Shuttleworth is that Ubuntu for Phones can work with Android kernel and drivers, which means if your phone can run Android, it can also run Ubuntu for Phones. Arstechnica reports that although no carriers and handset makers were announced, Canonical is aiming for a phone to be released in Q4 2013/Q1 2014. If you have a Galaxy Nexus (based on TI OMAP 4460), you’ll be able to test Ubuntu for Phones on your device within a few weeks. 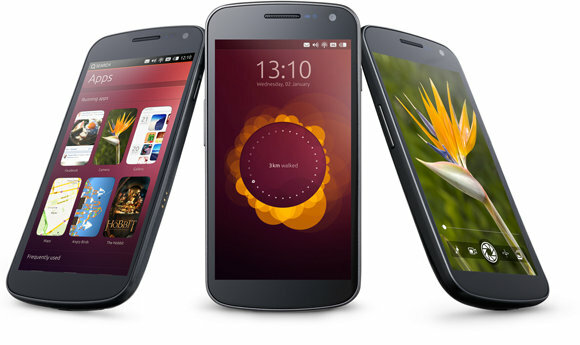 Ubuntu 14.04 will be one image that works across phones, tablets, and desktops. There will be several other Linux based mobile platforms (Tizen, Sailfish OS and Firefox OS) coming out this year, so we’ll have to see how this will pan out, but it should be pretty interesting.